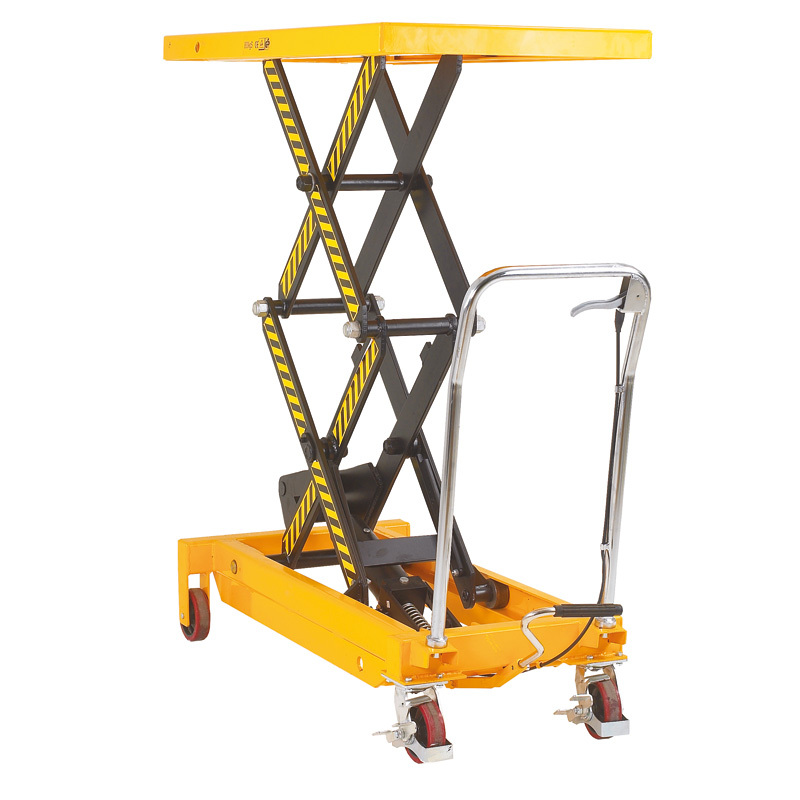 Our impressive scissor lift trolley range includes this manual hydraulic mobile lifting table, which is available a selection of load capacities. The manual hydraulic lift is operated by foot pump which also features a relief valve to stop overloading. Lowering is controlled by a hand lever which is positioned on the handle. These manual hydraulic mobile lifting tables are CE marked and conform to all European safety standards and would be a welcome addition to your warehouse. Mounted on two fixed and two swivel polyurethane tyred castors, this table also features foot brakes and bottom stops on the swivel castors to ensure that the scissor lift stays firmly in place when in use. Finished in a funky and highly visible yellow you won't forget where you left it!